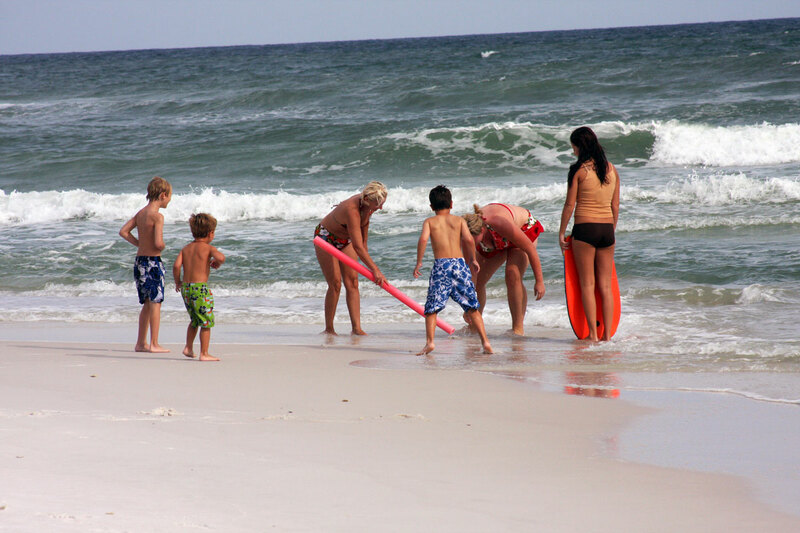 Usually when a purple flag is flying over Pensacola Beach, it means one thing: the Jellyfish have arrived! 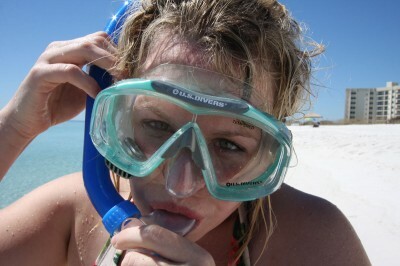 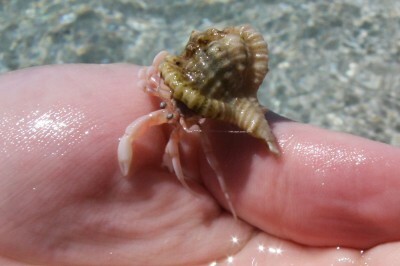 We get a number of species out here, some dangerous, some not, but this one I found very interesting. This is a Blue Button. 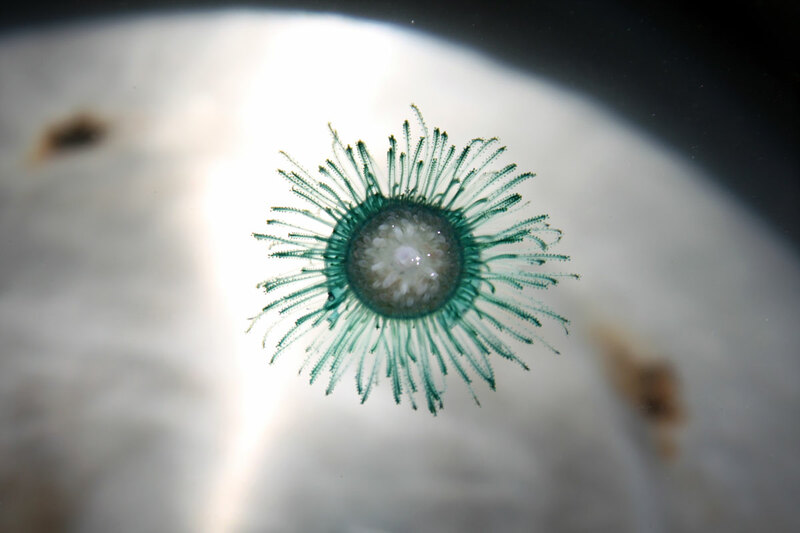 This isn’t actually a jellyfish, but a Chondrophore that we found and put in a pot from the kitchen just long enough to take pictures of. 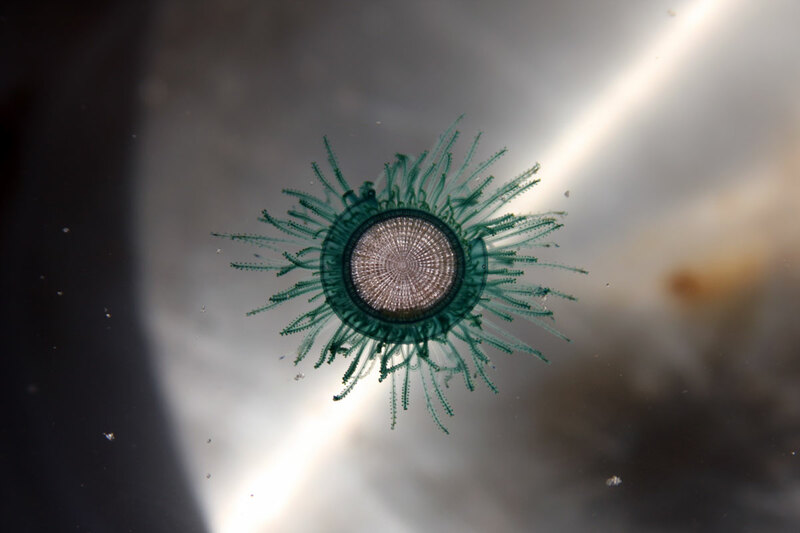 What you’re looking at isn’t a single animal, rather a colony of small polyps, each performing a different role in the colony. 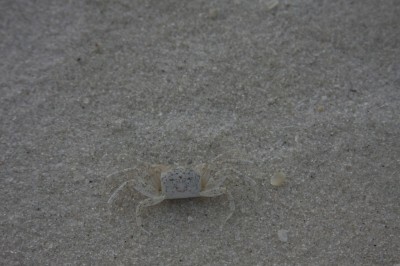 Found this little ghost crab on my walk on the beach the other day. 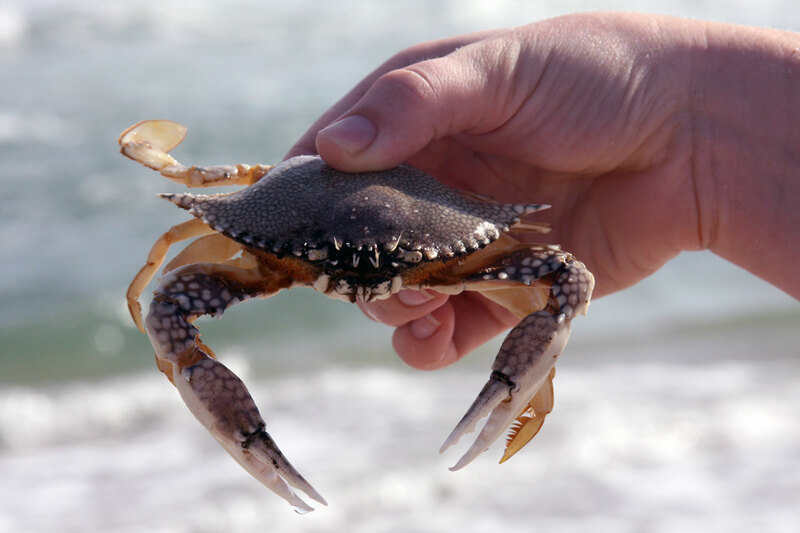 They can see 360 degrees with their eyes that stick out from their head, but they can not see directly up. They burrow and hide in the sand during the day to protect themselves from birds. 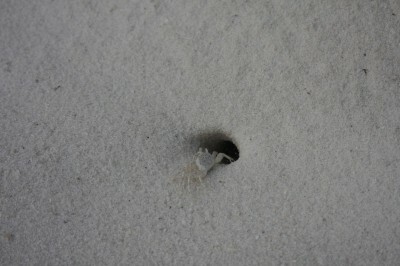 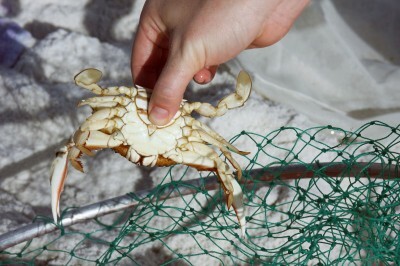 Ghost crab tunnels are about four feet deep! 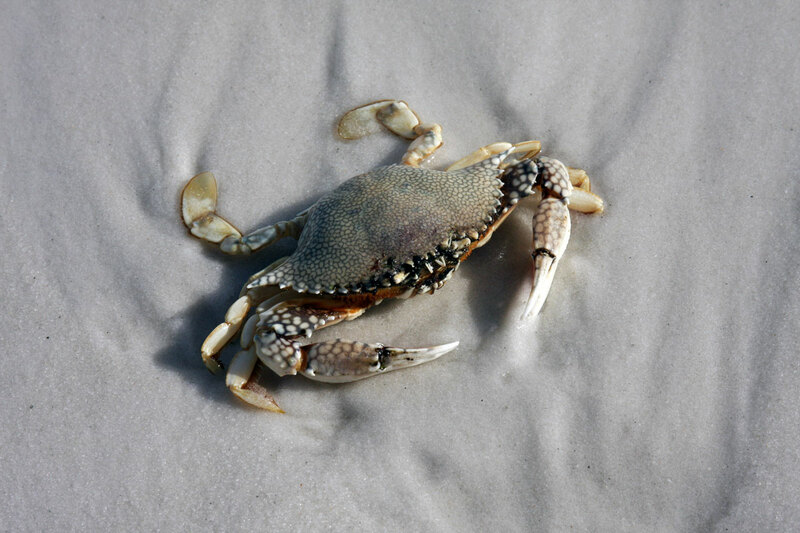 When the sun begins to set, these crabs run to the water to have the water flow over their gills. 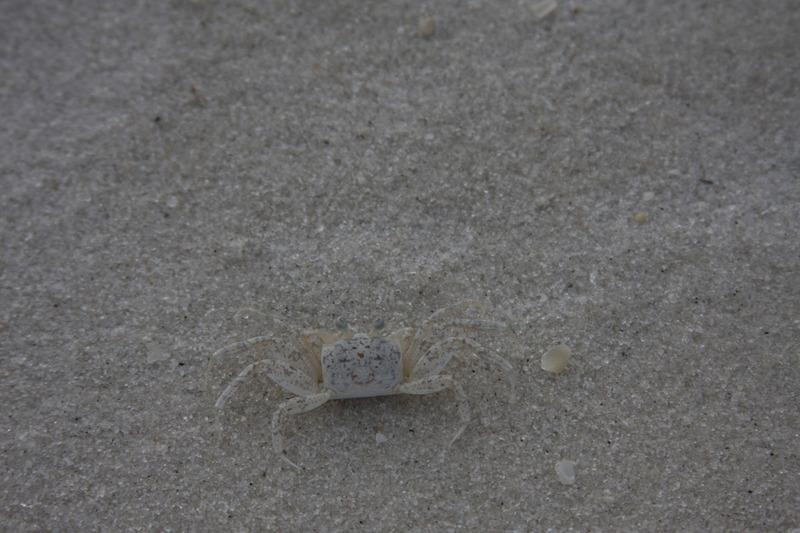 Ghost crabs hibernate in the winter, and store enough oxygen in sacs near their gills to be able to sleep for six months.